As the second installment of a four part series, this article features activities that are inspired by the International Montessori Congress keynote focus on The Natural Child. While the overall theme of the Congress is "Montessori: Guided by Nature," there are much more than just environmental implications to the topic. While a natural child is one who has been raised in harmony with the world around her, the term also refers to the natural instincts that lead to exploration and learning sensorially. 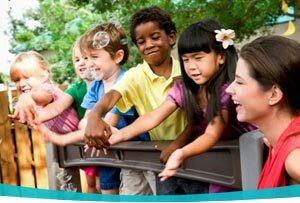 It is in each child's nature to want to explore and learn about the world! 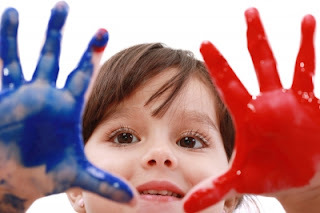 Enjoy these hands-on pattern activities, which celebrate joyful learning and the capabilities of the child. "Nearly 100 years ago, Dr. Montessori discovered universal patterns of development within the children she studied. She observed that, regardless of nationality, culture, or socio-economic background, children are intrinsically motivated to explore with their senses, to seek order, adapt to their culture, and to develop language and imagination." Working with patterns stimulates the child's innate love of order! Repetition and arrangement of colors and shapes supports creativity and logic, among many other skills. Finding "the right place" for something in an activity reinforces the satisfaction of a child's need for order, just as a constant environment and routine does. While the sensitive period for order generally lasts from 18 months to 2 years, pattern work can have many benefits for older children as well. For younger children, create a Button Snake. Sew large buttons to each end of a long piece of ribbon. 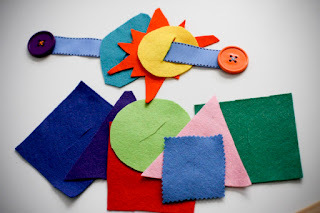 Using felt or other fabric scraps, cut out a wide assortment of shapes in different colors. Cut a slit big enough for the button to pass through in the center of each fabric shape. Fine motor skills are being developed while threading the shapes onto the snake, and each child will approach choosing and ordering their fabric differently. This activity, along with many other excellent do-it-yourself works, can be found here. Wooden Sorting Bowls are an excellent sensory work that can be extended into a wide range of activities. These beautiful materials are easy and inexpensive to make, giving you the opportunity to change and add to them as children's skills progress. Check your local craft, hardware, or dollar store for unpainted wood components. Drawer pulls are perfect- they are very cost effective and often have a flat side to encourage stacking or grading. 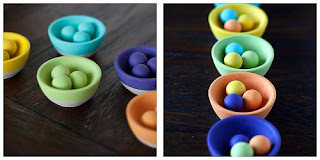 The bowls pictured were created by a mother who ordered the pieces to her door from a discount craft website. 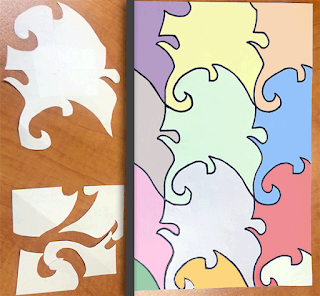 For older students, creating Tessellations is an activity that seems extremely complicated, but is actually simple to do! Children will love developing their own seamlessly interlocking shape, and coloring the pattern to create a one of a kind design. There is a very well explained tutorial here. By cutting a square piece of stiff paper into four quarters and rearranging the pieces, the result is a stencil that will tile perfectly every time- even if the cuts are completely at random! Making tessellations is a perfect lead-in to studies on how Math and Art often intersect, or for units on artists like Escher. For more activities inspired by the upcoming International Montessori Congress, read the first part of this series: Origins and Potential. 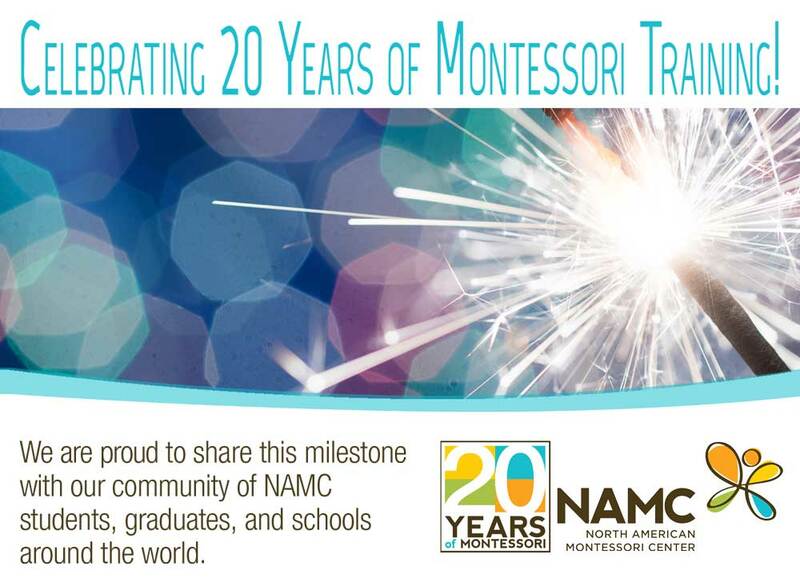 Keep watching the blog- we will be posting two more articles filled with activities celebrating the Montessori method! © North American Montessori Center - originally posted in its entirety at Montessori Teacher Training on Friday, June 21, 2013.